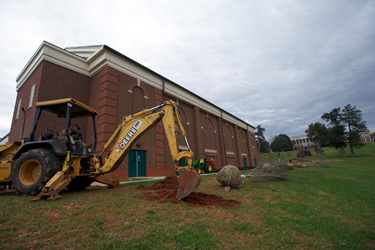 Sweet Briar’s physical plant serves an important role in the College community, overseeing building maintenance, housekeeping and grounds. The men and women who work here are responsible for the maintenance of Sweet Briar’s historic buildings — 21 of which are on the National Register of Historic Places — and 3,250-acre grounds. Sweet Briar is consistently recognized as one of the most beautiful campuses in the country and the fourth-largest campus among liberal arts colleges in the U.S. with eight nature sanctuaries, two lakes and 18 miles of trails. Physical plant staff ensure that Sweet Briar is a clean, safe and comfortable place to live and learn.